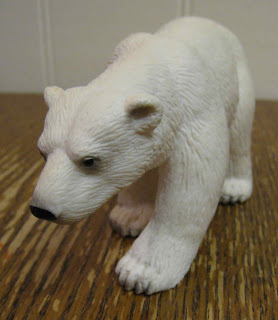 Schleich animals are some of my 2 year old's favorite toys. They are small, and very realistic, and very interesting to him. We have been lucky to make a small collection that he enjoys, including several dinosaurs, a penguin, a variety of rabbits (purchased specially off Ebay to appear in the Easter basket), and others. The elephant is a current favorite. Target carries a limited variety and seems to change the selection from time to time -- our dinosaurs were purchased at the July clearance (it was nice to have saved a few dollars), and now there are no dinos. Prices seem to average about $5-6, per figure, some more or less depending on size. A quick search online shows that Ridge Road Station, the online store where I have been purchasing our Playmobil, also offers Schleich (I think they have the full range) and they offer free shipping on orders over $30, which is nice. 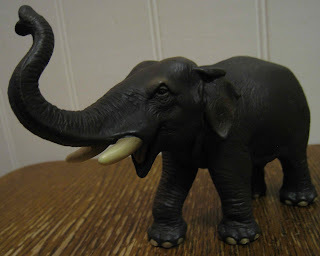 My oldest doesn't seem as interested in the Schleich animals as my 2 year old. Different kids like different things. However there is no doubt the animals are beautiful and really nice toys. I think they would make great gifts, or as a great bonus to add to a gift like a Zoo membership or animal books.